The words you need to communicate with confidence in business today. Vocabulary explanations and practice for advanced (B2 to C1) students and professionals looking to improve their knowledge and use of business English. This book is perfect for both self-study and classroom activities. 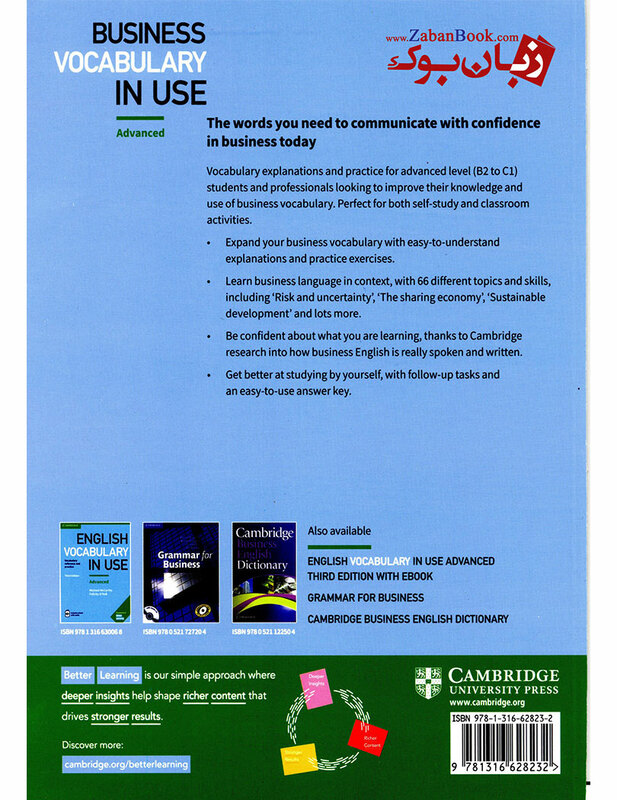 It helps you to expand your vocabulary with easy to understand explanations and practice exercises, learn business language in context with 66 different topics and skills, and be confident about what you are learning, thanks to Cambridge research into how business English is really spoken and written. Follow-up tasks and an easy to use answer key will help you to study by yourself. اولین نفری باشید که در مورد کتاب ویرایش سوم Business Vocabulary in Use Advanced 3rd نظر می دهد.